I have searched SuperUser and Converting an external hard drive to internal suggests that it is actually possible to convert the WD Elements 1 TB into an internal hard drive. Does anyone know if this is also true for the 2 TB version (WDBAAU0020HBK-NESN)? Are there any drawbacks from doing this? Most of the internal drive prices change frequently so alot of suppliers tended to keep small stocks of them, obviously with the floods many of these suppliers bought up stocks to keep up with their projected demands - rather than 'ride the market' as they used to (they could save money by doing this). The amount of external drives used/supplied is a huge amount lower (with generally fewer large manufacturers) aswell as most suppliers keeping a stock of them as they are seen more as an 'off the shelf' or retail item than an OEM or system builder item. Here is a link to a guy on a forum which opened one up to find a WD20EADS drive. Drawback as mentioned in the forum - you'd lose your initial warranty and have to go back to WD for any kind of issues as there's a danger it's not an OEM drive within the enclosure. 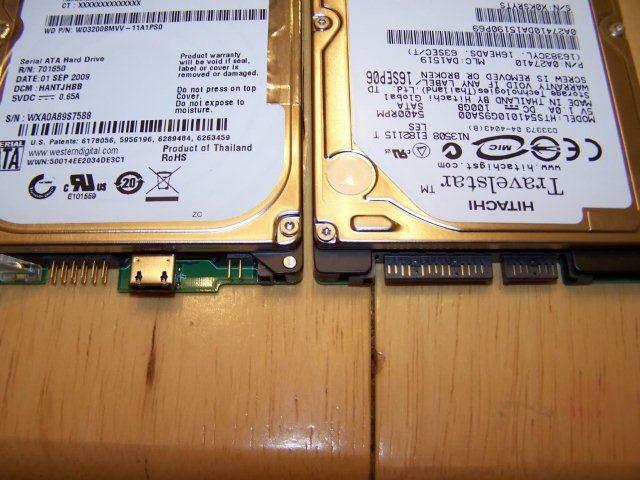 WD did use proprietary connection foe 2.5" hard d rives in enclosures, not sure if this was abandoned or adopted in the 3.5" models, here is a picture, WD proprietary is on left, standard sata is on right. Unless someone has opened that specific model it is speculation. It will void the warranty for sure if crack open the case. Not the answer you're looking for? Browse other questions tagged external-hard-drive or ask your own question. Is there software to fully emulate a USB hard drive? How to run Windows 10 from an external hard drive? Can an operating system access a network drive that is formatted with an unsupported file system? Why is a USB 3.0 external hard drive is performing faster than internal hard drives?